India is the largest producer, consumer and importer of pulses in the world. Pulses are grown in various agro-ecological condition and cropping systems with diverse agricultural practices. 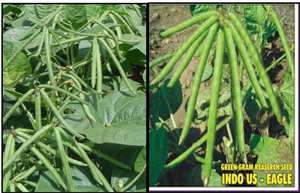 Red gram (cajanus cajan), green gram (Vi-gna radiate) and black gram (vigna mungo), are the important legume crops grown in India. Considering the growing importance of pulse crops grown in India. considering the growing importance of pulse cropping system and its scope for improvement, IUBTPL have initiated the pulses breeding programme for developing new cultivars in mandate crops with focus on seed yield, higher protein content and resistance to major pests and diseases. Improvement in physiological trial such as leaf area, root mass, water use efficiency, etc.